Made from premium American hardwood. Pockets available in a series of stock diameters (see below). 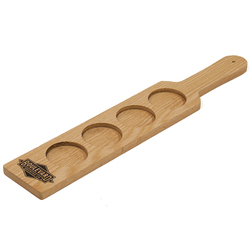 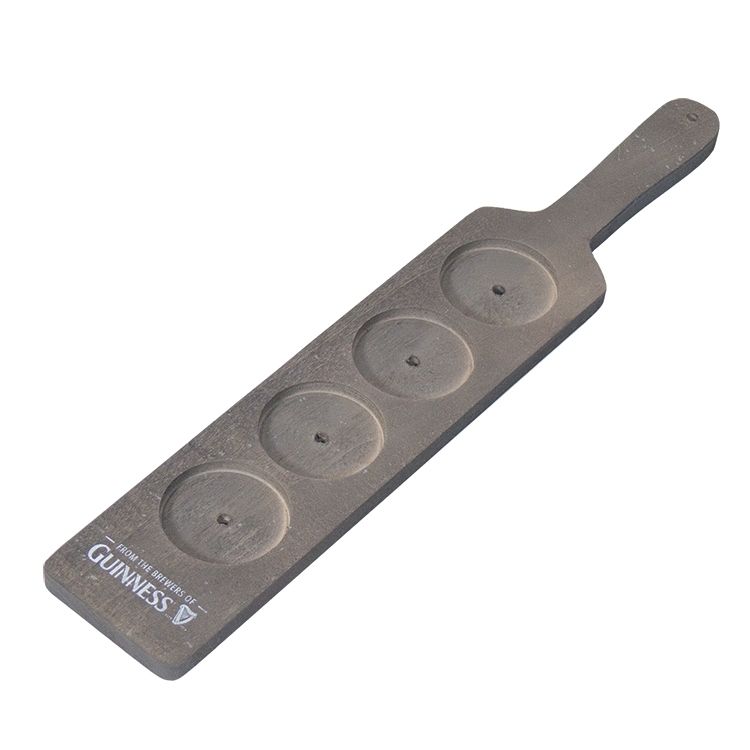 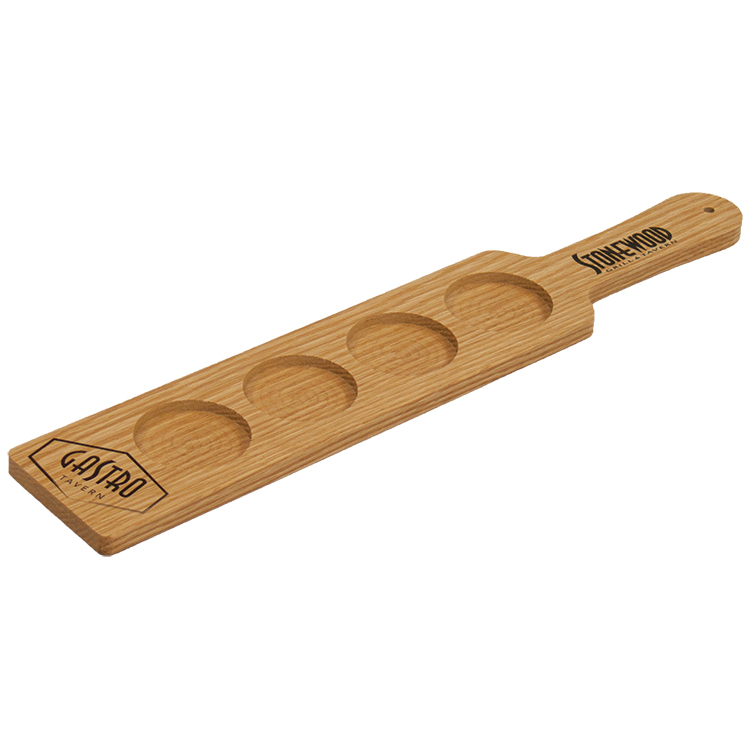 Our Sampler Paddle Beer Flight is made from solid hardwood for high durability in the work place – ideal for restaurants, pubs, promotional events and tastings. Order them blank or add your own custom logo or artwork to further advertise your brand! Customization is endless! Imprint Area: 1.675" x 2.75"
Pocket Diameter: 1.75" - 2.5"